UN agency for descendants of Arab refugees to cut back on operations in wake of $217 million budget shortfall. The UN agency for the descendants of Palestinian Arab refugees has warned that cuts to key program in the Gaza Strip and Judea and Samaria are planned over the coming weeks if a US funding freeze cannot be overcome. Figures were not yet available on the cuts being planned if the major gap in financing is not resolved, but a letter sent to agency staff at the weekend and seen by AFP on Monday highlights areas targeted. A source familiar with the plans described the areas expected to be affected in further detail, saying they included employment programs, housing assistance and mental health support, among others. Most of the cuts were expected in Judea and Samaria in areas governed by the Palestinian Authority under Mahmoud Abbas. Some program were due to run out of funds by the end of July, according to the source. The letter said the agency, known as UNRWA, would work to maintain vital food assistance programs, particularly for the impoverished Gaza Strip. But the source said those too could face reductions in the coming months if additional financing was not found. 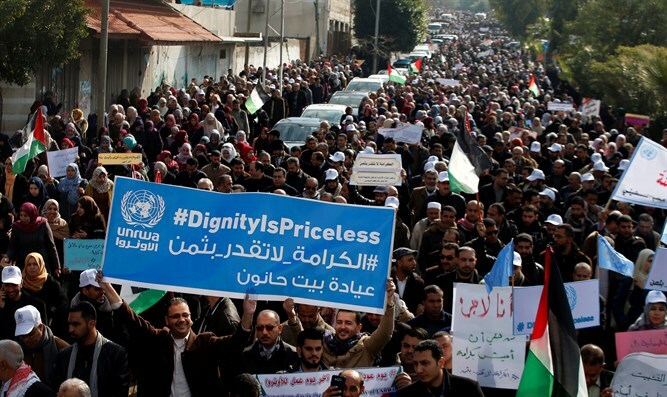 UNRWA head Pierre Krahenbuhl said in the letter to staff that he had called on donors that had already helped out with pledges to assist further so the agency could "overcome the rest of the shortfall," currently at $217 million. "I said to them and I say to you now with great honesty: A shortfall of $217 million is still far higher than any UNRWA has ever faced in its history," the letter said. "As the agency's commissioner-general, I cannot hide the dramatic risks that we face to our services if we do not receive additional funding very rapidly." The agency would decide in the first half of August whether it would open the schools it operates on time following the summer break, Krahenbuhl said in the letter.